Not everyone is aware, but there seems to be a door to bountiful ideas, thoughts and opportunities. How do enterprises come into being? As one walks through a community and seeing a number of stores ranging from micro-scale businesses like the sari-sari stores to international giant enterprises like fast-food or shopping malls in commercial centers, one may wonder how did all these ventures begin? In this inset, there are at least six businesses. 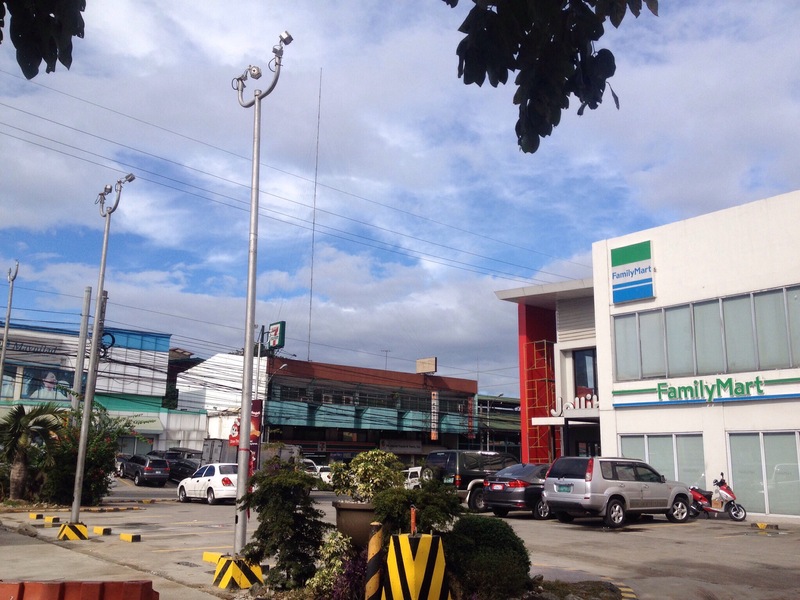 From left: Maynilad, a water concessionaire; 7-11 Convenience store; Phil Islands Travel and Tours office; Claro; Jollibee restaurant and Family Mart convenience store. BRD is a businessman of faith. He is the first person I met, back in 2001, who regard business as a mission; this is why the Scriptures are a resource to him on business matters. He told me that a business may begin if a person would A.S.K., i.e., ask, seek and knock, a process concept he derived from the Scriptures. To a man of faith, these words are a promise with a guarantee. Not everyone is aware, but there seems to be a door to bountiful ideas, thoughts and opportunities. A lot of people are observed to be suffering from cultural or mental poverty. Seems like we can hardly find ideas worth working on and developing into full business ventures. Rich thoughts are like a special class of things that only a few were blessed to experience. Opportunities appear like paths only gifted persons can travel. Most of the time, all that we see are either just a vast space of nothingness or a blank wall. What if where it looks empty, or pointless, there is in fact a closed door and behind is a realm abounding with ideas, thoughts and opportunities? What if the only thing necessary is to knock at the door and, as a promise, will be opened to you? In sociology, there is the concept of “cultural capital” but only a number of people are aware of it and seldom anyone knocks on its door to discover “business ito” (ideas, thoughts and opportunities). “Cultural capital” is the totality of what our civilization has produced over time, seemingly kept in a secured vault. Someone or something seems to be keeping its doors closed. Neurologically speaking, there is a part of the brain called Reticular Activating System (RAS) that regulates our capacity to see or identify things. Inside of us, there is this doorkeeper that keeps the door closed and so we do not see things and they remain invisible to us all our lives until we learn to knock. In 1998, a college student of mine shared in class that prior to our discussions, she never saw hotels scattered everywhere except for the popular ones, like Manila Hotel. Another student in a different class told us that she was never aware of different cars there are in the streets (she referred to brands) until we started discussing the car industry. A lot of things are around us, but they seem to be hidden from our sight. It is like they all exist behind a closed door. The lesson to potential entrepreneurs is simple, building a successful enterprise may start by knocking on a door and it will be opened to you. This will be a first step of the journey to success. Around us is a wealth of ideas, thoughts and opportunities in a vault called “cultural capital”. Everyone has access to ideas or thoughts and one may just be unaware of them, but in doing a reflection or soul-searching, an idea or two, and thoughts, would crystallize in one’s mind. Out of these ideas and thoughts, opportunities emerge, which may be in fact numerous. There is a story of how a giant manufacturer of food supplements began in the 1930s after Carl Rehnborg knocked on the door of realities in China. Behind the facts of rural life and traditional Chinese medicinal practice of people in the countrysides hid a golden opportunity that led to today’s billion dollar industry. Prior to that, the world was simply a vast space filled with people until he found a door, knocked on it and was opened to him. History is replete with stories of people who found a world of opportunities. So, what are you waiting for? 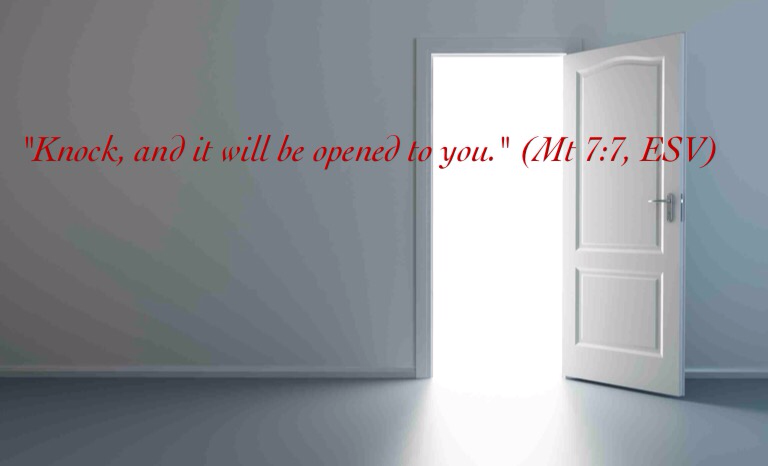 Go, knock on the door and, the promise is faithful, it shall be opened to you. On my next content, I will share with you the next step – “seek, and you will find”.